Complete dental care for your whole family. Get a Healthy Smile. Become a Happy Patient. Prevention is key to prevent small issues from becoming bigger (and expensive!) problems. Learn more about our family dental care services below. Click on the photos to learn more about our services. When it comes to our Simpsonville family dental care, our hygiene appointments are far from routine. We approach your dental health with a comprehensive and preventative approach. Why? Because our passion is ensuring your smile is healthy and beautiful. Our dental hygienists are known for their gentle touch and will do a thorough job of getting rid of plaque and tartar. That’s not all! We’ll even take the time to explain everything, so you always know what’s going on with your smile. That’s what comprehensive, honest care is all about. 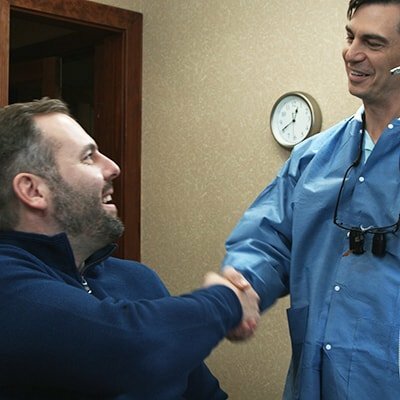 It’s essential to see a dentist in the Simpsonville, Greenville, Mauldin, or Fountain Inn areas every six months to ensure your smile is in tip-top shape. Schedule your hygiene appointment today! Along with your hygiene appointment, we’ll complete a comprehensive exam, which includes a thorough cleaning, periodontal evaluation, x-rays, oral cancer screening, intra-oral pictures, fluoride treatment (optional), and a doctor exam. This in-depth assessment allows us to check your smile’s overall foundation and to uncover any issues before they become bigger and expensive problems. Based on our findings, either Dr. Alexander or Dr. Godwin will address any “fires” they may see with your smile and will discuss any of your goals or desires. If you have periodontal disease, we offer deep cleanings to remove the harmful bacteria below the gumline. Dr. Godwin or Dr. Alexander may recommend you have deep cleanings every six months, or more often in more advanced cases. Yes, we see kids. 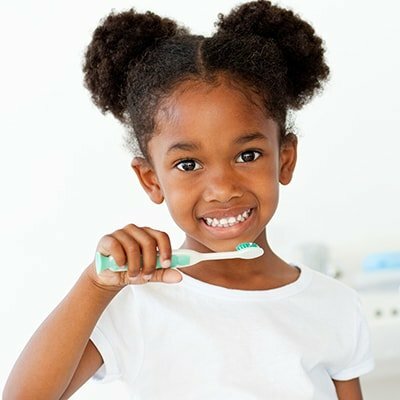 It’s extremely important to start incorporating healthy, dental habits for your children. Why? 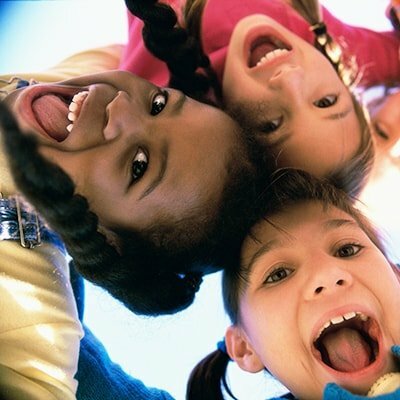 Because dental disease in children is five times more common than asthma (we’re not kidding!). Along with practicing brushing and flossing at home, taking your children to our friendly team will jump start a positive experience for their dental futures. We go above and beyond to ensure your kiddos are having a fun and relaxing experience. We’ll get down to their level to educate the importance of preventative care. In the end, your child will know the importance of taking care of their teeth will result to happy smiles for life. When you get tooth decay, a filling is needed to prevent any further damage. Tooth-colored fillings not only mimic your natural teeth, but they are much more durable than traditional metal fillings. You can smile proudly without being worried that your fillings will show. When a cavity reaches the nerve of your tooth and the nerve becomes infected and filled with bacteria, a root canal is necessary to save your natural tooth. Our doctors remove the pulp and all bacteria within the tooth to save it. Then, they fill the space with modern (and completely safe) dental material to restore your tooth back to its full function. Many dentists refer their patients to specialists for root canals, but in most cases, Dr. Alexander and Dr. Godwin can perform your root canal right here in our office. This ensures you’re getting the complete care you deserve from start to finish. While brushing and flossing every day are critical for a healthy mouth, it can be tough to get to your back molars, which are the chewing surfaces. Sealants are thin, plastic coatings seamlessly placed on your teeth’s surfaces, preventing cavities. Sealants can be used on adults and children. We understand extractions aren’t on the top of your priority list. However, they may be needed to keep you smile free from oral disease or if we need to prepare your smile for future procedures (orthodontics or dental implants). We even remove wisdom teeth for teenagers! No matter the reason for an extraction, your smile is in good hands with our dentists in Simpsonville, SC. Throughout the entire process, Dr. Godwin and Dr. Alexander will ensure your entire procedure is comfortable and pain-free. You’ll see the same face from start to finish, and our patients have even commented that they didn’t even feel the extraction happen. That’s right. We provide orthodontics right here in the office. 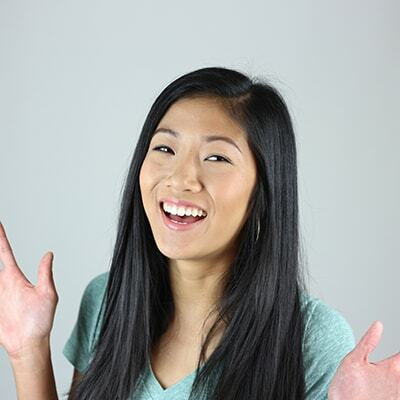 We offer multiple orthodontic options, including traditional braces and Invisalign. What is Invisalign? 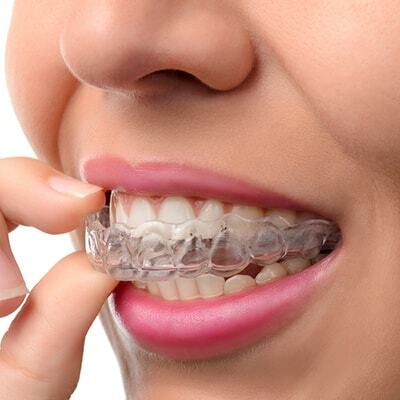 If you want a straight smile but want to avoid metal braces, Invisalign is your modern solution. Dr. Godwin is a Preferred Provider for Invisalign, which gently moves your teeth into its proper position by using clear, comfortable aligners. These aligners are removable so that you can eat your favorite foods and brush/floss frequently. Are you experiencing headaches or soreness in your jaw? You may be grinding your teeth at night. This type of trauma can not only wear away tooth enamel, but it can cause future TMJ problems (hence the headaches). In turn, this can deteriorate your quality of life, but there is a solution! Dr. Alexander and Dr. Godwin can help with customized nightguards. These nightguards are durable, fit snuggly around your teeth, and will protect your smile from the nightly grind. A dental crown (also known as a cap) is needed when the tooth has suffered from severe decay and fillings are not enough to save the tooth. They can restore your tooth’s appearance, shape, alignment, and occlusion (bite). 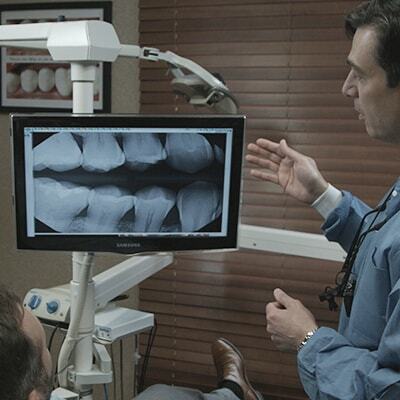 At Simpsonville Dental Associates, we’re happy to provide Same-Day Crowns. Gone are the days where you endure the hassle of scheduling multiple appointments to restore your smile. At Simpsonville Dental Associates, it’s possible to get your crowns in one visit! 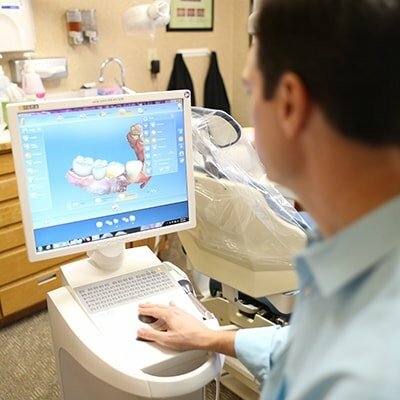 With CEREC, our expert dentists in Simpsonville can craft a gorgeous, durable crown only in one visit. What does this mean for you? No need for multiple appointments! Walk through our doors and you’ll be greeted by our smiling staff. 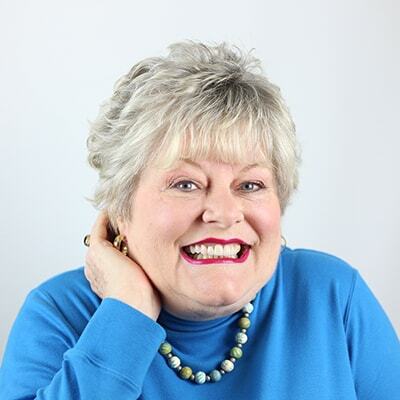 Once we’ve gathered your information, one of our hygienists will greet you and walk you to the hygiene room. 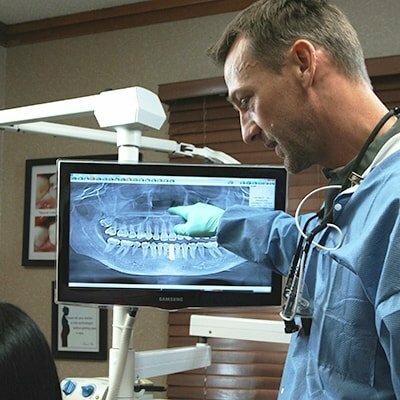 We’ll do a comprehensive exam, which includes a thorough cleaning, periodontal evaluation, x-rays, oral cancer screening, intra-oral pictures, fluoride treatment (optional), and doctor exam. You’ll meet either Dr. Alexander or Dr. Godwin who will address any emergency issues and discuss any goals you wish to achieve. Our Treatment Coordinator will explain what your insurance benefits can be expected to cover. What Do You Need From the Dentist? We have smart and sincere ways to take care of the whole family. See real results from real people.